Luca Curci talks with the artist Emmanuel Monzies, winner of the Painting Category of ITSLIQUID INTERNATIONAL CONTEST 5TH EDITION 2017. 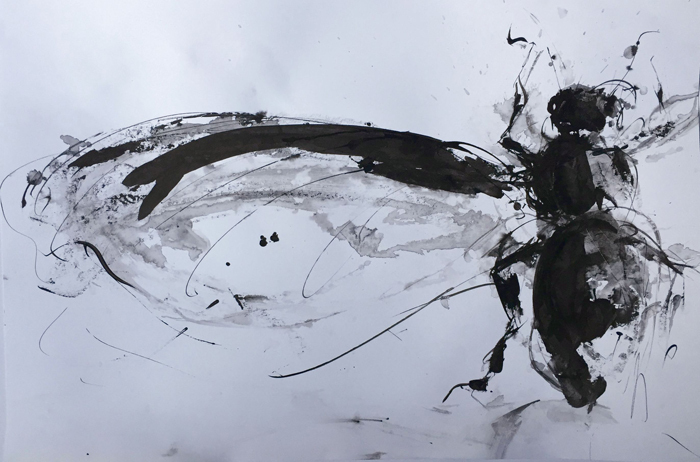 Emmanuel Monziès is transposing living material like plants and bodies on paper or on canvas with a predilection for monotypes. This complex living world we neglect, if not destroy, is revealed by shadows, imprints and drawings. “Printing life” is becoming the common thread of his artworks. 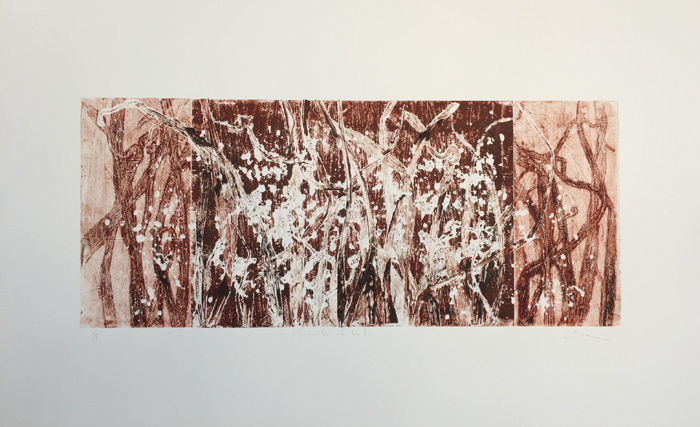 “Rebel Plants” is one of his last exhibition: These monotypes transform imprint of plants into abstraction. 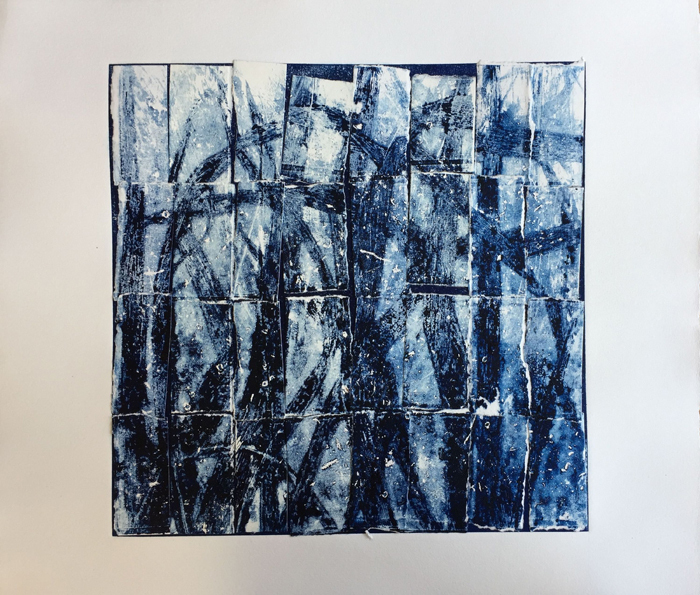 The printing plate is reused several times with additional inking and drawings which create an intriguing complexity from successive compositions. “Single Pose” was an exhibition a few years ago with a unique model painted with the same point of view. Acrylics, etchings, inks and watercolors were medium used to explore this single pose. Each artwork became a piece in a chain link which question us about perception. 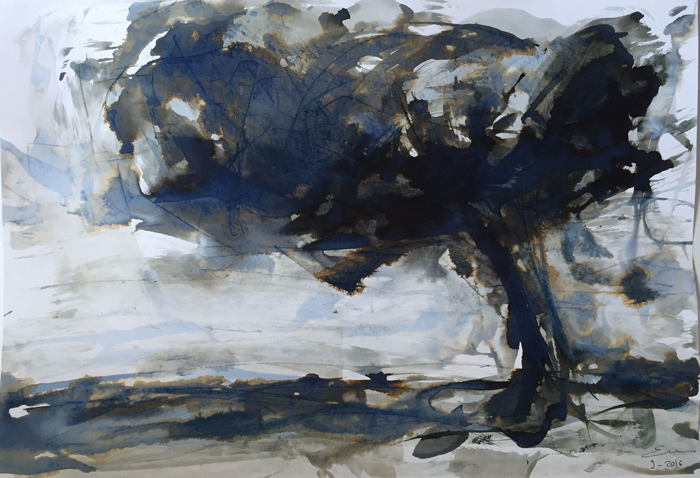 The tree has also been a research theme in recent months with the exploration of tortured forms of trunks and branches using various techniques such as ink, watercolor or monotype. 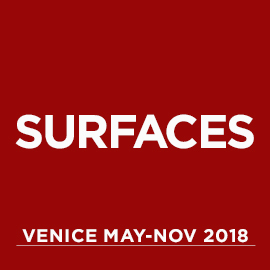 These artworks have been presented at personal and collective exhibitions in France, the United States, Canada, Argentina, Spain, Italy, Dubai and other countries. 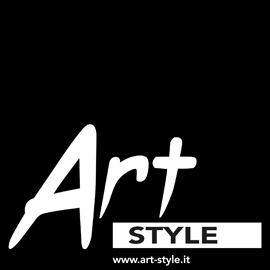 Luca Curci: What’s your background? What is the experience that has influenced your work the most? Emmanuel Monziès: My great grandfather Louis Monziès was an etcher at the end of the XIX century and after making researches about his artworks and life, I have wanted to explore etching which led me to various technics, among them monotypes which became my favorite since a few years: By capturing plants imprints on paper, we unite living things to mineral, 3D volume to 2D plan, ephemeral to everlasting, these opposition becoming fusion. Like a fossil, the imprint reveals the plant which become textures and shadows. LC: What are you currently working on? 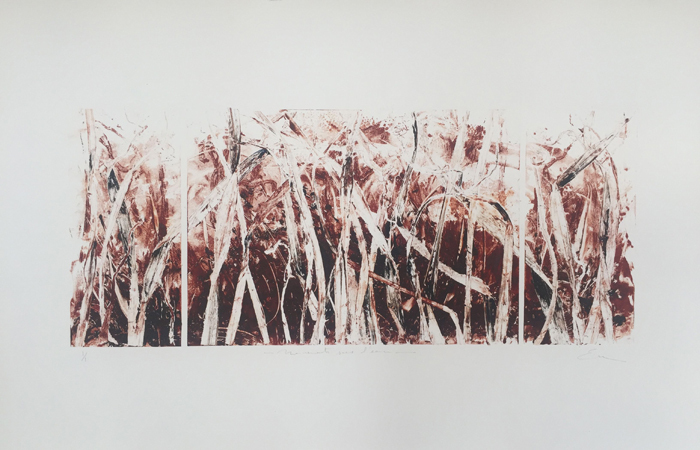 EM: I am still exploring monotypes with plant imprints: larger formats, new materials and other technics. 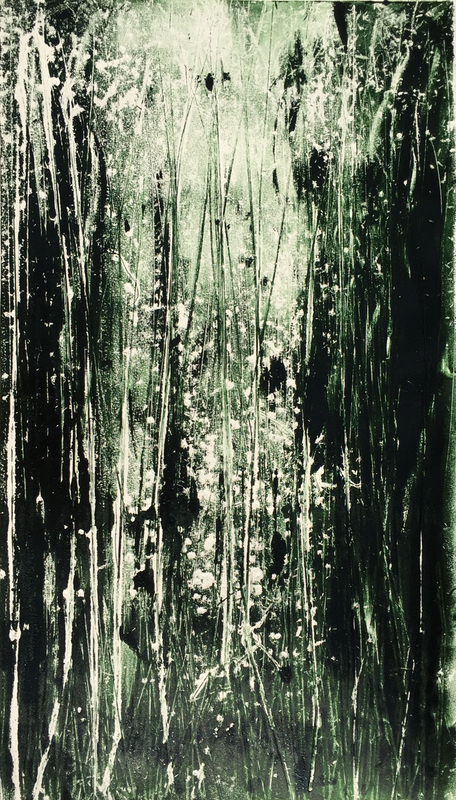 I am also experimenting large bio-inspired inks on paper with painting knifes as a tool to get raw and more spontaneous. LC: Where do you find your inspiration? EM: Living material like plants and bodies come first to initiate my inspiration. This complex living world we neglect could be revealed by shadows, imprints and drawings. “Printing life” is becoming the common thread of my artworks. LC: What is your creative process like? EM: I prefer spontaneous works driven by intuition and iteration. Could be a long series of works, retrying again and again to find some sort of illumination, some unexpected effect that sharpen the razor’s line between execution and inspiration. LC: Do visitors’ suggestions enrich yourself and your art? EM: Yes, I got a lot of comments about my artworks during exhibitions and on social networks as well. Sometimes they make me going deeper in a direction, but it could be the opposite too, make me feeling the urge to change radically, to explore something else completely different. LC: What do you think about the concept of this contest? In which way did it inspire you? 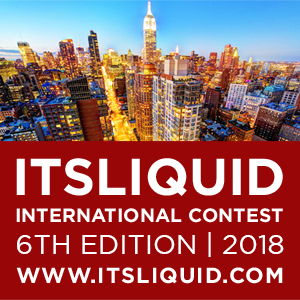 EM: The ITSLIQUID international contest is a great opportunity to find new opportunities to exhibit all around the world, as well as to reach additional key influencers and audience. I haven’t participated in your calls for artists yet, FIRE.AIR.WATER.EARTH is definitely a theme which could inspire me among the ongoing ones. LC: In which way the artwork presented in our event is connected with the contest’s theme? 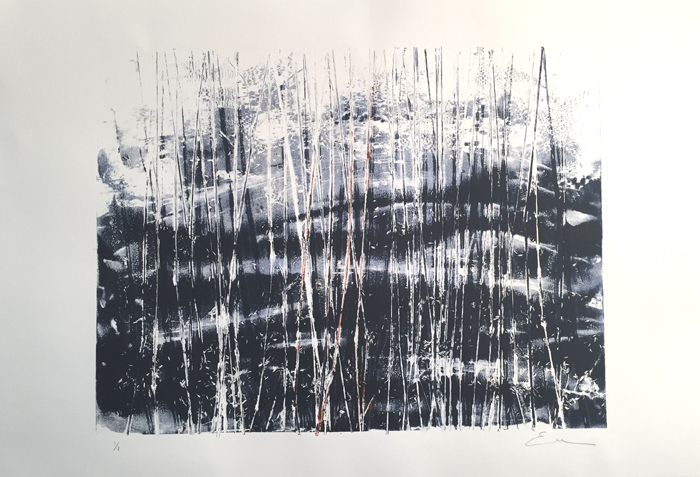 EM: The two monotypes I have presented have both universal and timeless messages: “Blurred Horizon” is about perception and visibility, what’s next, what’s surround us? and “Movements” is about some hidden world underneath, just have a look around you to find movements of an intriguing complexity, everywhere are some marvelous worlds yet to be explored. LC: What do you think about ITSLIQUID Platform? 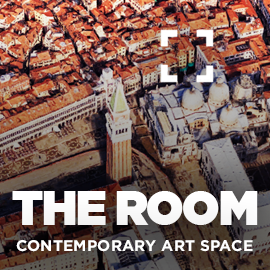 EM: The platform is a great opportunity for contemporary artists to share their latest artworks and experiences. 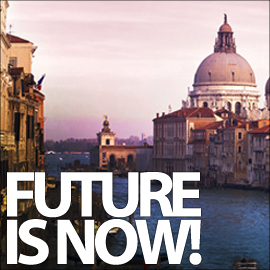 As a multicultural and multidisciplinary platform with places all around the globe, it is becoming a reference for artists and art lovers to get some sort of pulse of what is happening around the world of Art. LC: Did you enjoy cooperating with us? 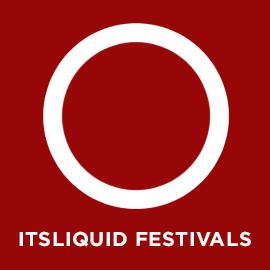 EM: Yes, the ITSLIQUID international contest is great to find new opportunities to exhibit all around the world, as well as to reach additional key influencers and audience. LC: Would you suggest a collaboration with us? What do you think about our services? EM: Yes, I would like to extend a collaboration with you in the future. 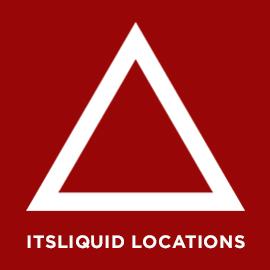 Fluidity, motion, connection and accessibility, are values I share with ITSLIQUID, and your tagline “making things easy” seems to be a good start for any collaboration and services!